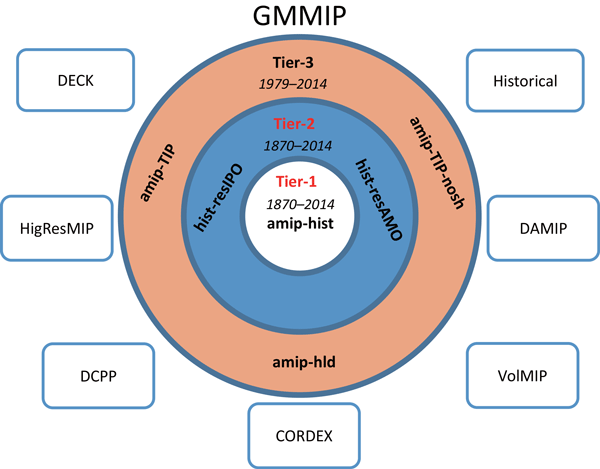 The Coupled Model Intercomparison Project (CMIP) has been a major, very successful endeavor of the climate community for understanding past climate changes and for making projections and uncertainty estimates of the future in a multi-model framework. CMIP has developed in phases, with the simulations of the fifth phase, CMIP5, mostly completed. This special issue describes the new design and organization of CMIP and the suite of experiments of its next phase (i.e., CMIP6) in a series of invited contributions. The description of the experiments and forcing data sets presented here define CMIP6 in detail. The papers provide the required information to produce a consistent set of climate model simulations that can be scientifically exploited to address the three broad scientific questions of CMIP6: (1) How does the Earth system respond to forcing?, (2) What are the origins and consequences of systematic model biases?, and (3) How can we assess future climate changes given climate variability, predictability and uncertainties in scenarios? The special issue will include an overview paper on the CMIP6 design and organization, contributions from CMIP6-endorsed MIPs and descriptions of the forcing data sets. Modelling of carbon isotopes 13C and 14C in land and ocean components of Earth system models provides opportunities for new insights and improved understanding of global carbon cycling, and for model evaluation. We compiled existing historical datasets to define the annual mean carbon isotopic composition of atmospheric CO2 for 1850–2015 that can be used in CMIP6 and other modelling activities. Fire emission estimates are a key input dataset for climate models. 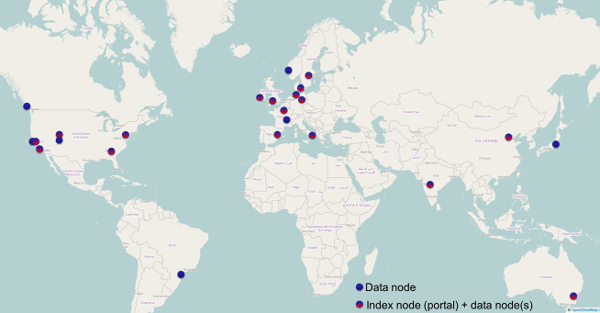 We have merged satellite information with proxy datasets and fire models to reconstruct fire emissions since 1750 AD. Our dataset indicates that, on a global scale, fire emissions were relatively constant over time. Since roughly 1950, declining emissions from savannas were approximately balanced by increased emissions from tropical deforestation zones. 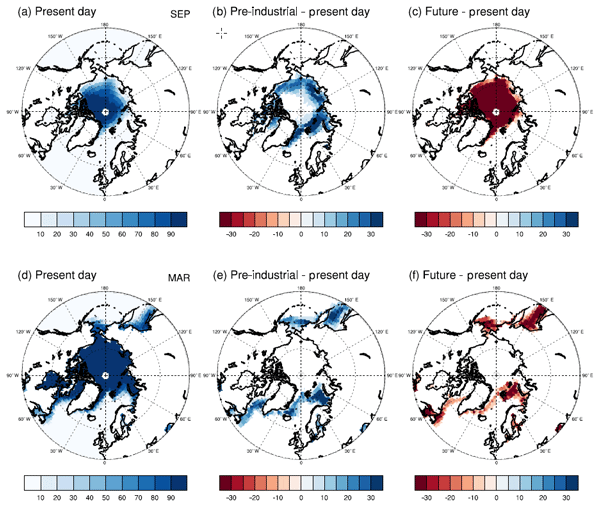 This paper describes an experimental protocol designed to quantify and understand the global sea level that arises due to past, present, and future changes in the Greenland and Antarctic ice sheets, along with investigating ice sheet–climate feedbacks. The Ice Sheet Model Intercomparison Project for CMIP6 (ISMIP6) protocol includes targeted experiments, and a set of output diagnostic related to ice sheets, that are part of the 6th phase of the Coupled Model Intercomparison Project (CMIP6). Detection and attribution of climate change is the process of determining the causes of observed climate changes, which has underpinned key conclusions on the role of human influence on climate in the reports of the Intergovernmental Panel on Climate Change (IPCC). This paper describes a coordinated set of climate model experiments that will form part of the Sixth Coupled Model Intercomparison Project and will support improved attribution of climate change in the next IPCC report. This paper tells why to launch the Global Monsoons Model Inter-comparison Project (GMMIP) and how to achieve its scientific goals on monsoon variability. It addresses the scientific questions to be answered, describes three tiered experiments comprehensively and proposes a basic analysis framework to guide future research. It will help the monsoon research communities to understand the objectives of the GMMIP and the modelling groups involved in the GMMIP conduct the experiments successfully. The Vulnerability, Impacts, Adaptation, and Climate Services (VIACS) Advisory Board for CMIP6 was created to improve communications between communities that apply climate model output for societal benefit and the climate model centers. This manuscript describes the establishment of the VIACS Advisory Board as a coherent avenue for communication utilizing leading networks, experts, and programs; results of initial interactions during the development of CMIP6; and its potential next activities. Diagnostics of atmospheric momentum and energy transport are needed to investigate and understand circulation biases in climate models and the atmospheric response to natural and anthropogenic forcing. To reduce such biases is of importance because they add uncertainty in regional climate projections. We define requirements for diagnosing resolved and parameterized dynamical processes relevant to atmospheric variability and the transport of mass, momentum and energy within CMIP. Human land-use activities have resulted in large changes to the Earth's surface, with resulting implications for climate. In the future, land-use activities are likely to expand and intensify further to meet growing demands for food, fiber, and energy. The goal of LUMIP is to take the next steps in land-use change science, and enable, coordinate, and ultimately address the most important land-use science questions in more depth and sophistication than possible in a multi-model context to date. This manuscript describes the setup of the CMIP6 project Land Surface, Snow and Soil Moisture Model Intercomparison Project (LS3MIP).